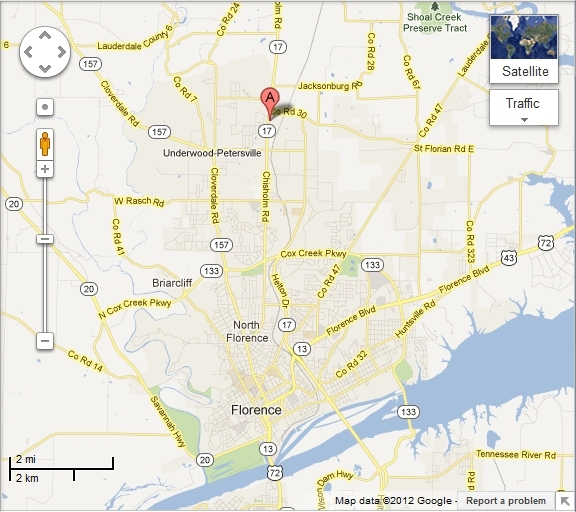 Grace Bible Church of the Shoals is located at 4660 Chisholm Road, Florence, AL 35630. From Regency Square Mall take Cox Creek Parkway (west). Then, head north on Chisholm Rd. The church is located on the right about 2 miles north of Forest Hills Elementary School between the intersections with Kendall Drive and Church Road. We share an entrance with Double Creek Apartments.